While we don't necessarily need a new thread on the topic, I have some thoughts and photographs to share after fondling it rather aggressively at Cine Gear 2016 and perhaps a unique perspective on this collaboration. Also, I took in a lot of feedback from various shooters, ASC Members, and RED owner/operators and have some points to cover. First I want to talk a bit about Panavision. 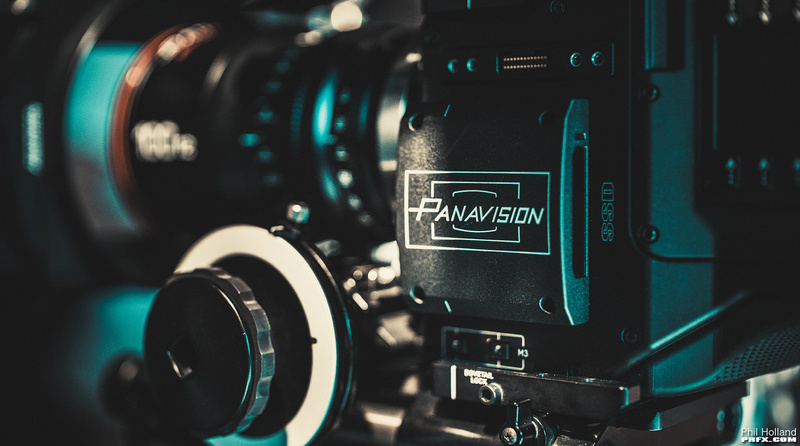 Panavision was founded in 1953, interestingly enough during a decade when the VistaVision format was invented and used by filmmakers seeking out something "more". Over time PV became essentially the industry leader when it came to anamorphic lenses. 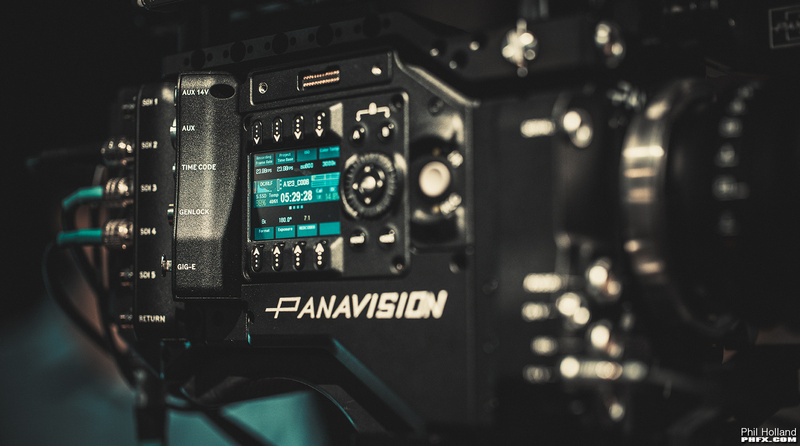 Fast forward to modern times Panavision has grown into an entity that provides their lenses, equipment, and support to productions word-wide. PV has had several camera developments over the years. Millennium XL and Genesis come to mind as important film and digital advancements. 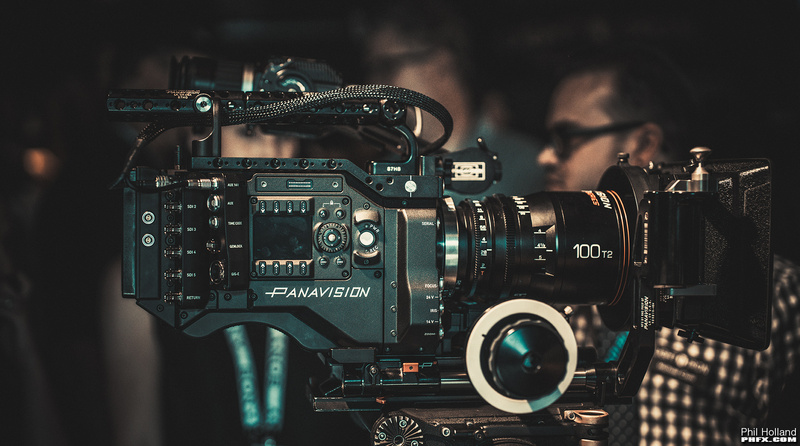 As digital cinema cameras advanced and became more available it has been commonplace for Panavision to look at the various camera systems and to accessorize them in a way that many feel is optimal for production use. Thus the term "Panavised" was born. 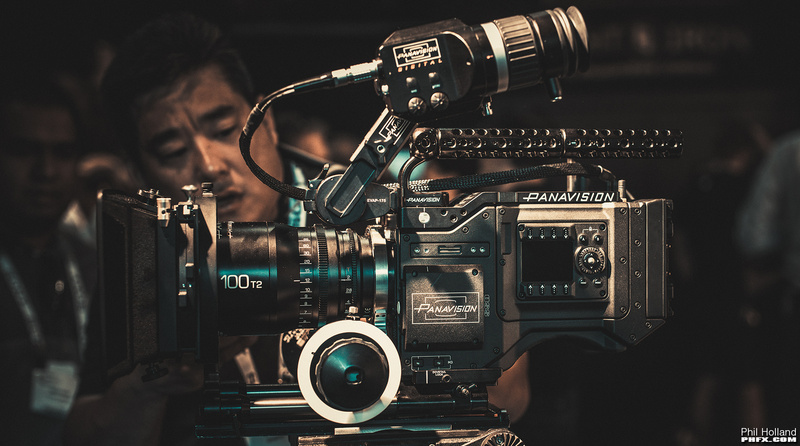 Panavision rents a lot of different camera models and they own a fleet's worth of RED Digital Cinema Cameras. Over the past few years Panavision was developing a 65mm digital cinema camera, a camera that the Primo 70 Series were designed "ideally" for. However, that project turned into a long twisted journey that at roads end left them with some gorgeous lens designs ideal for large format cinematography and no large format Panavision digital cinema camera to use them on. The lenses however would find their way onto various digital cinema cameras and be used on a whole bunch of productions. I really can't boldly underline how important the RED Dragon Sensor Technology has been. 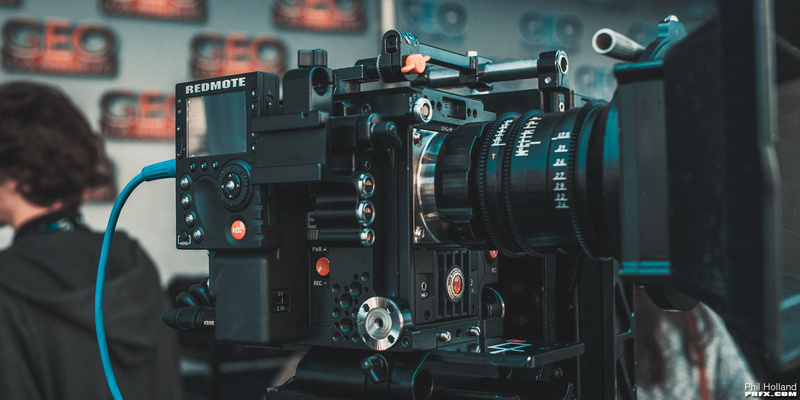 It's Color, Dynamic Range, and Film Format to Resolution Relevance has been a rather massive splash across the industry. It's improved upon Mysterium-X in every way and filmmakers and studios have taken note of that. The technological advancements of the DSMC2 camera bodies have also squeezed more fire out of the Dragon. Now with the top of the line 8K Dragon Sensor at 40.96x21.60 we have for the first time a digital cinema format size that's slightly larger than VistaVision and slightly taller than Super 35mm Motion Picture film formats that syncs up with the growing desire to explore other formats while providing a decent digital/film analog. This oozes potential as the RED system is indeed multi-format. You can shoot 5K and get your S35 equivalent, shoot 8K and get something in the realm of larger format VistaVision+, and perhaps most importantly to PV in 7K through 8K resolutions very "proper" S35 anamorphic filming. As we've seen with Fincher's Xenomorph RED Cameras, custom bodies with custom features can be achieved by RED. In the case of the PV DXL we have a collaboration between Panavision, RED, and Light Iron to provide a unique imagining system for Panavision's clients with a unique flavor to the image itself. There's some rather interesting online and in person conversation regarding how much of RED or how much of Panavision/LI is in there, the true answer is both or all of the above. There is simply much more than a RED Sensor inside the DXL body. It's essentially in many ways a Weapon 8K with an internal and external Panavised effort. A collaboration like this doesn't exactly balance with weights placed on one side of the scale. These cameras have been and will be built to specification by RED and are under ongoing development until their release for production use later this year. - Body Weight = 10 lbs. Taking a square look at that we have the basic features of a RED Weapon 8K camera with built in support for additional features. In many ways this is like slugging everything you'd get from certain 3rd parties into one camera body. Similar to what Offhollywood's OMOD, Titla, and others are developing in Expanders that can attach to DSMC2 bodies. However, this bounty of features is Panavision's vision from the ground up. I have to say that personally Wireless Timecode and Genlock are two of the most important and useful features out of the lot. This is something that will speed up big productions in major ways. I also think the pure wireless and quick to deploy focus and iris controls for the Primo 70 Series will be a joy to use. They had that working at Cine Gear. It was very, very impressive. The menu system is a light overhaul of the typical RED DSMC2 menus with a focus on menu panels with buttons and dials for Operator and Assistant Side of Camera use. Take note there are indeed 2X "cable-less" LCD/EVF connections and you can indeed navigate and operate via those as well. You can basically operate this thing anyway you'd like. As for the body itself, it's been designed for production use. It does fit on the shoulder well even with a Primo 70 Prime and Matte Box. It's insane that the base weight of the camera is only 10lbs. That's a tremendous achievement with all of this built in. The intake and outtake fans are both on the top and the shoulder mount doesn't occlude airflow. I spoke to many notable shooters over these last few days. Most are very impressed with the body design, shape, and weight. Even the general camera operation. Panavision and RED did a great job here. Actually, to take this to a further level. 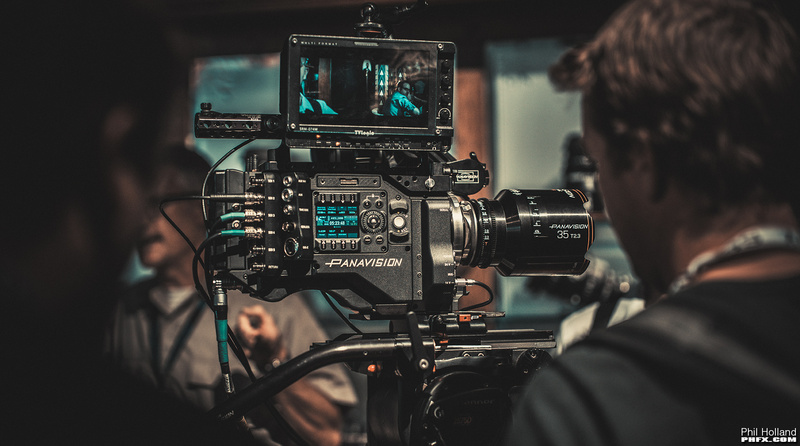 The DXL is the most advanced digital cinema camera ever made, but can operate in a familiar way that is friendly to Operators and Assistants. This is a big achievement. One very notable thing about the DXL is Light Iron's involvement in developing unique to Panavision "Light Iron Color". The DXL will actually use proprietary media that will embed Light Iron Color at the sensor level that can be utilized in 3rd party applications. In tandem with this Panavision is currently developing their own OLPF Technology. I spoke to Michael Cioni a bit about what the goals are here. Overall and initially Light Iron Color will be developed towards the common trends in modern motion pictures. My personal take on this? The combination between Light Iron Color and this new OLPF will be designed to produce a very film-like/modern-ish look out of the camera. Vibrant, rich, and deep color that will be unique to Panavision and the DXL. I've noticed many wanting to tap into what Light Iron is whipping up under the hood here, but you must be aware that this is part of Panavision's strategy with this camera. This will not be something available to owner/operators. This is something that will be available to Panavision clients however. I can't stress enough. With the Dragon Sensor, REDCODE RAW, RED's OLPFs, and even 3rd Party OLPFs you can create your own look and/or 3D LUTs that provide something unique for your clients. It's something I've been doing for years primarily with 3D LUTs mainly to lean towards common Kodak stock emulation after carefully reading in the tonal and color response of each medium. Light Iron's Color will indeed be excellent and unique. They have some very bright minds working hard during this ongoing development. The footage shown at Cine Gear 2016 was very impressive. Detailed landscapes with varying hues, tricky dynamic lighting conditions, and plenty of skin tones. This particular effort was Light Iron's current color progress with the RED OLPFs. Something that became apparent to me when RED announced the 8K Dragon sensor was the impressive amount of creative potential behind this particular sensor size. Looking at it in relationship to the lenses that Panavision offers inspires a lot possible lens combinations. This sensor works will with 65mm glass, 35mm glass, 2X-1.25X Anamorphic glass. As much as the focus has been with the Primo 70 series, I think there's even more potential with 2X anamorphic glass as you can get a proper 4K/8K-5K/10K anamorphic image using the S35 or even S35+ area on the image plane. Overall, this camera is a total solution for modern productions. Expect a host of educational events to help DPs, Ops, and ACs to get up to speed with the DXL in the coming months. And expect quality and interesting images coming out of these cameras. It's a very exciting time for digital cinema production. Loved the way this camera has been conceived and put together, and seen it first hand made a clear difference on what you see on paper and photos... This has been a fantastic move on all involved! Any idea if owner/ops will be able to rent PV glass with the appropriate lens mount in order to use these great lenses? The slick design, Li Color and so on is obviously part of PV's unique value add - but are they also going to keep their lenses "behind the curtain"? I fear the answer is that PV wants to protect their entire proprietary ecosystem, which I understand. Thanks Phil. That was a great write-up. I wonder what the rental price will be for a complete package. I just hope it's not completely horrendously expensive so indie productions can afford it. Phil, this really caught my attention. What resource would you recommend for diving into the world of custom 3D LUTs? I believe I'm guilty in these requests, however I understand that it's part of the package. I'm wondering though if we would see anything new from Red themselves in this regard. There's been a long time since we got any improvements to the color science in Red. But I'm curious, if Light Iron did the color science on a sensor level, how could we do 3D luts with "our own" color science. Don't we need access to the sensor on a deeper level than just doing a LUT in post? Phil thanks for the DXL wrap up. It was difficult not to walk away impressed with the combined effort of PV, RED and LI. Also, it puts a fine point that the color effort by-in-large is for the benefit of Panavision's clientele. As you mentioned, the opportunity for any RED owner is open to create their own color matrix for the benefit of their clients or shooting style. Sidebar, was there any indication that Panavision would publicly post any of the presentation footage? I'm just proud to own the younger brother of what I hope to see as the new major motion go to. Thanks for the detailed write up. How does recording media effect sensor level output? 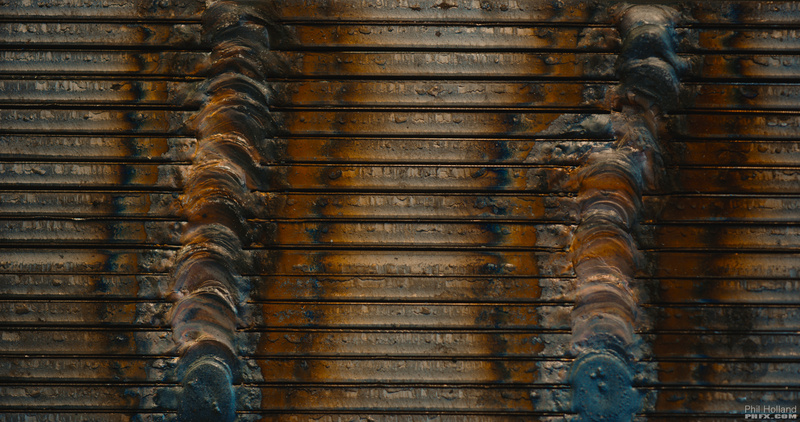 There is a lack of clarity from Panavision regarding where Light Iron colour science is inserted in the image chain.